Is there a working fms were I can load a flightplan on the A380 ???????????? I didn't think the obvious thing ! Thank you very much . That really helped me. Happy new year to everyone. Can someone please tell me how to open cargo doors on the A380 ? I use GSX and I really need to know how to open the cargo doors in order to play more realisticly. I have this problem with the lights (bug I believe) in the A320 CFM version . I believe it is happening because of the wingflex. How can I fix it ? Is there a way to open/close the cargo doors on the A380 ? I can open the passenger doors but not the cargo doors. This is the third time I am asking the same thing in a row and still no answer !!!!! So , can I somehow put a VC in the A32X sharklets in FSX or i have to wait for the FSX version ???????????? Well, yes . But it takes sometime load my position in the navigation display. I mean it shows for a few seconds map not avail and the same thing happens to my engines. Anyway it doesn't affect my flight so everythin is good. C:\\Documents and Settings\\YOUR USER NAME\\My Documents\\Flight Simulator X Files\\. Hi Francois . Sorry I have some problems with my computer and I can't see if there are those files . I will probably answer on Thursday . I use windows 10. Can someone please make an Air Berlin livery for the A320 for FSX ? The only Air Berlin livery I have found is the Air Berlin - Etihad livery . Sorry, I didn't see the forum rules ! I am going to make another request . Can someone please make an Air Berlin livey for the A320 in FSX ? The only Air Berlin livery I have found is the Air Berlin - Etihad livery. fdd_fr wrote: No. I don't think. Savegame must work with FMC off. Check in your FSX document folder if you have A .CSV file and report to me. Francois thanks for answering ! Unfortunately there is not a .CSV file in my IFR flights . I am doing an IFR flight without using the fmc . I haven't tested if it is working with the fmc on . Does it affect my problem ? When I am in flight everything is working perfect (great job by the way ). When I save the flight and load it again , the plane is in cold and dark mode while I am in cruising altitude ! How do I continue my flight with my A320's engines working ? Please help. Is there ANY update for the fsx version ? Please tell us something ! Love to hear from you guys . Can I download it if i am not in the beta ? Of course you can. But you have to make sure that you put it in the correct model . I mean that you can't put a cfm engine model (A320-214 for example) livery in an airbus a320-232 with IAE engine option. Can I somehow add a vc in the A320 sharklets or I have to wait for the fsx version ? Anywhay STILL WAITING for the fsx update . Keep it up! Is there an Aegean airlines texture with sharklets ? I know you said that i can fly the A320 Sharklets in FSX but i can't add a vc in it . Can i somehow do it or not yet ? 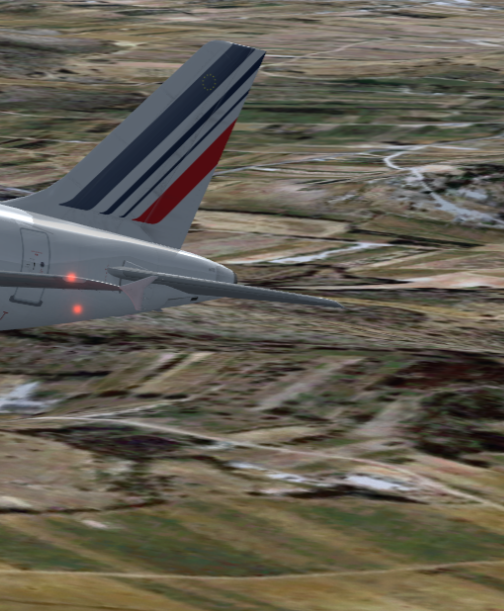 Anyway love your work and i am still waiting for the FSX update .